Susan Collins, who assured Mainers that he'd support reproductive rights, was either lying or intentionally overlooking multiple red flags. Our most dire prediction of Justice Brett Kavanaugh’s likely rulings on women’s access to reproductive health care was sadly proven correct last week (when he sided with the minority in a 5-to-4 vote that blocked a restrictive Louisiana abortion law). 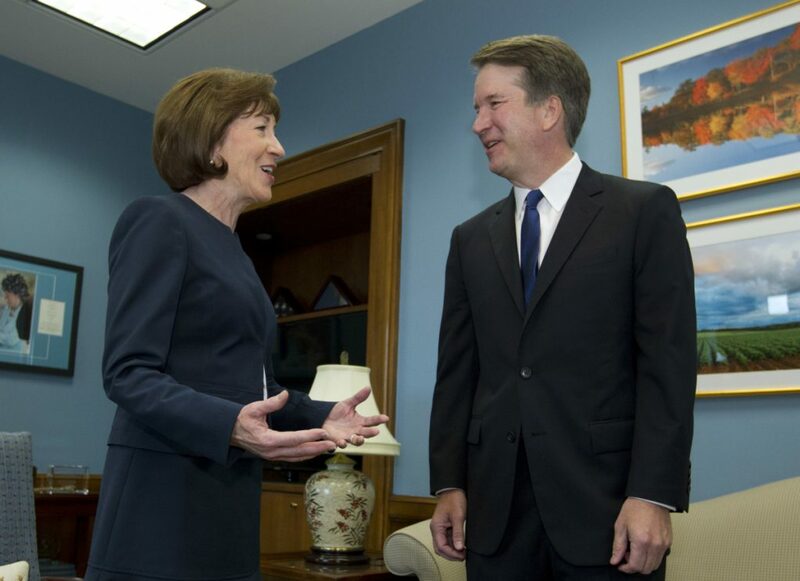 Our senior senator, Susan Collins, assured Mainers that his appointment to the Supreme Court would not undermine a woman’s freedom to choose what reproductive health care is best for her and family. She either outright lied to us or she was deliberately blind to all evidence that signaled how he would vote. In either case, she refused to acknowledge the validity of the information Mainers brought to her day after day, week after week, on this issue. She claimed some special insight into his likely future votes, based apparently on an assurance in a private meeting. She ignored over 150 Maine attorneys and thousands of constituents who told her otherwise. We are the people who must bear the consequences of other future votes by this justice, whom she never should have voted to confirm. She betrayed us, she misled us and she did so knowingly. We will not forget. We will remember in November 2020, when we vote her out of office.